Burlington, VT’s sweetheart slacker punks, Apartment 3, are excited to release their first full-length album this fall through Section Sign Records. It is a raw, intoxicatingly noisy, and fiercely melodic LP that was home-recorded in their egg-crate lined bedroom practice space. Apartment 3 formed in the fall of 2014 when guitarist Ivan Marrinson, Bassist James Tierney, guitarist Dylan Adair, and drummer Jon Kraus happened to move into the same apartment building and bonded over a mutual love for bands like Thee Oh Sees, Pavement, The Pixies, and Ty Segall. With the dynamic and unique songwriting voices of Dylan, Ivan and James, the band developed an “exciting brand of slacker punk and fuzzed-out power pop” that writer of Surviving the Golden Age music blog, Adam Morgan, noted could help make Burlington known for more than just jam music. In the winter of 2015, Apartment 3 released their energetic, belligerently lo-fi Porchview EP with aid from Joey Pizza Slice. They toured it in the DIY basement scenes of the Northeast and quickly became known for their engaging, high-energy sets filled with head-banging-fits and feedback-induced convulsions. In Burlington, they became a go-to local support act for touring bands booked through Waking Windows and Signal Kitchen, playing with bands such as Sheer Mag, Vundabar, Ed Schrader’s Music Beat, and Yonotan Gat. 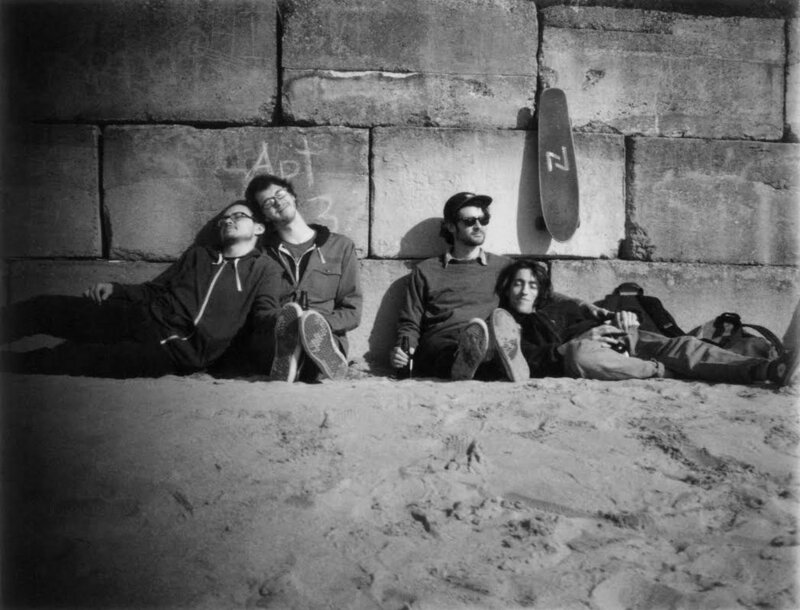 This past spring Apartment 3 has self-released three singles “Sunshine”, “Winter is Over”, and “No Feeling” off their upcoming album. 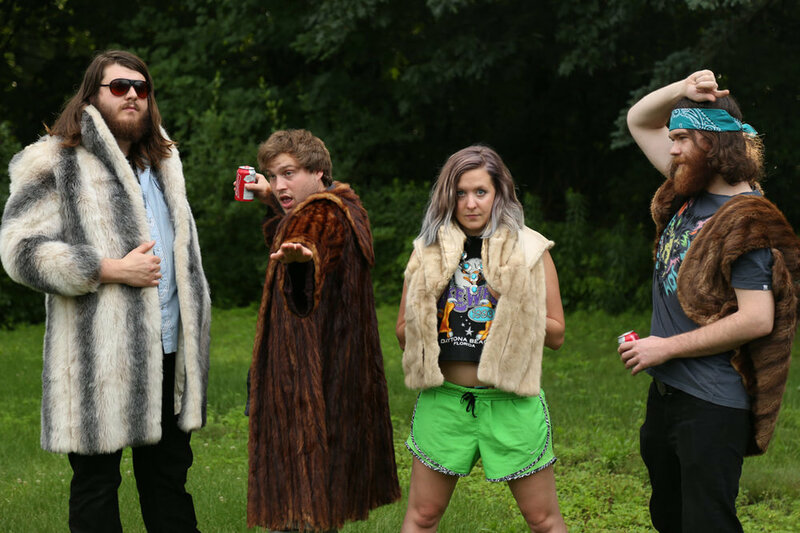 They’ve continued bringing their brand of fast and fuzzy garage rock up and down the east coast and look forward to upcoming performances at Otis Mountain Get Down among other shows in Maine, Providence and Western Mass. Sleeping In is a Burlington VT-based quartet who create their own unique blend of pastoral shoegaze and psych-oriented fuzz rock. After spending the past two years balancing writing, touring, and recording, their second release and debut LP “let you in” is complete. A true labor of love between an extended group of friends, “let you in” arrives heavy yet nonaggressive. Sleeping In have been touring New England basements and venues for three years and have no intention of slowing down. They’ve played notable festivals such as Waking Windows, and shared stages with formidable acts such as No Joy and Jeff the Brotherhood. Equally happy in a dingy basement as they are on the stage, Sleeping In are looking to continue and extend their touring capacity in the coming years. Clever Girls is a band formed in and based out of Burlington, Vermont. Robert Slater’s deft ability to interpret rhythm alongside bassist, Tobias Sullivan are invaluable, while Diane Jean’s soulful voice and raw, personal songwriting abilities combined with Holt’s effortless guitar work have created a recipe for what Redline Roots have called a “delicate balance” between soft and vulnerable, or a rock and roll raucous. On March 7th, 2017, they released their debut EP which you can stream exclusively on Bandcamp. The record has been described as heartbreaking; a "grungy collection of attitude and emotion that hits hard…but hits so damn good.